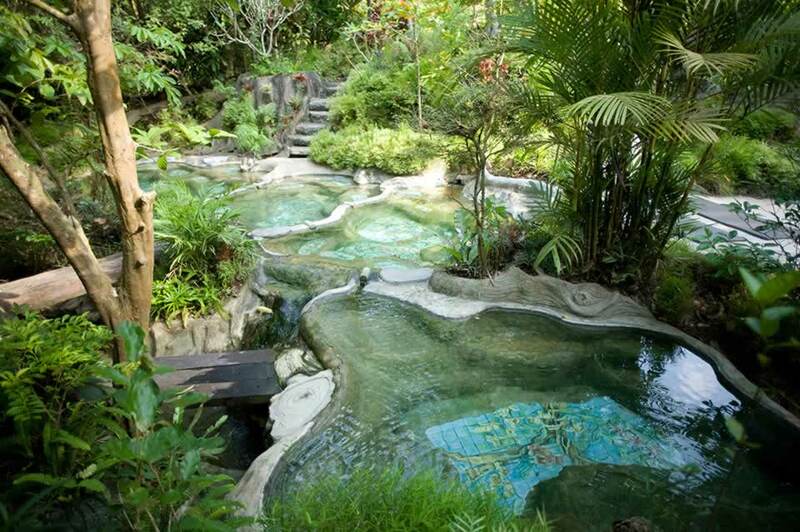 Waree Raksa Hot Spring Spa – Take a scenic drive from Ao Nang to the Klong Tom district of Krabi and indulge yourself at this beautiful hot springs Krabi Spa retreat. Rejuvenate body, mind, and spirit with natural therapeutic treatments in an outdoor natural environment. The Waree Raksa Hot Spring Spa is not a 5-star spa, it is more natural and earthy than that and in our opinion, it is better because of it. 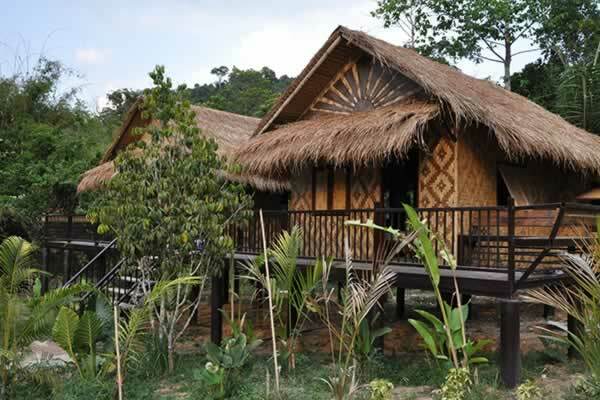 The traditional teak Thai house once belonged to the village medicine man who treated the locals. Combine a high quality service & total relaxation with a true “local experience” at Waree Raksa Hotsprings. Explore the hot waterfall and the tropical plantation. Practice the art of Thai Yoga (Rue Si Dat Ton). Relaxation massage in one of Waree Raksa riverside cabanas. Body Scrub treatment with fresh ingredients. A healthy Thai Lunch and unlimited herbal drink and tea. Free return transfer from your Krabi Hotel to Waree Raksa Hot Spring Spa. Time Schedule: Pick up around 08:30 at your hotel and back at around 16:00. Rue Si Dat Ton (Thai Yoga exercise). Hydrotherapeutic program: Hot & Cold pools plus herbal bath. 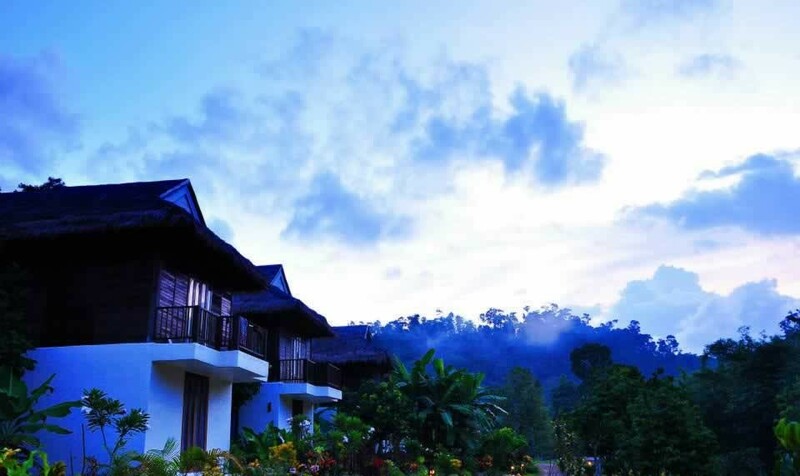 Return Krabi hotel transfers to & from Waree Raksa Hot Spring Spa. Time Schedule: Morning or afternoon treatments. Timing to be agreed on booking. Prepare the body with fresh scrubs. A Tanaka Face & Body Mask. Time to enjoy & relax in the Kinaree Hot Spring. Hydro Therapy program in cold herbal bath & sizzling hot stone bath. Return Transfers from your Krabi Hotel. What to bring: Sunglasses, sun-lotion, camera, dry clothes to change. The hot springs were discovered in 1989 when digging ponds for the fruit plantations. By combining what nature has provided with therapeutic treatments the spa is continuing on a tradition of wellness treatments in Krabi area. There are two natural hot springs at Waree Raksa (which means “healing with water”) that have been diverted into 6 different pools with varying temperatures from 38 to 45 degrees Celsius. There are also cold water pools infused with floating flower petals and herbs such as ginger, pandan leaves, and kaffir lime. The mineral-rich waters have a PH of 6.9. Skilled spa therapists will guide you through the pools in the correct order for the perfect hydro-therapeutic experience. After the pools move to the nearby massage tables for a herbal body scrub and massage. Or how about a mud bath? There are several options available. You are literally in good hands with the skilled therapists. 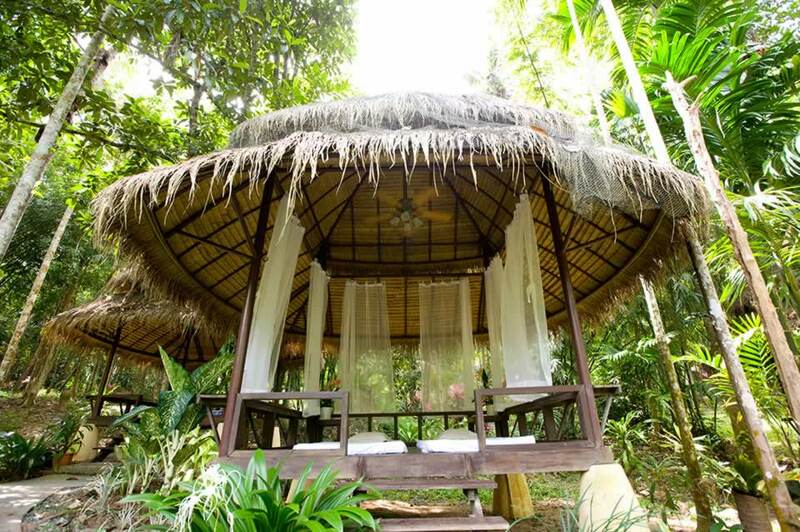 The massage tables under Thai style Salas are totally in keeping with the natural surroundings. The main sound you’ll hear is water and bird calls. If you haven’t dozed off to sleep yet it’s back into the Jacuzzi pools where the spa staff will guide you through a relaxing yoga and deep breathing session. Later walk to a small water waterfall also warmed by the springs. After the treatments enjoy some herbal drinks and tropical fruits picked from local plantations including durian, rambutan, longan, watermelon, papaya, mango, pineapple, and mangosteen. Don’t fill yourself up though because back at the spa centre, a traditional teak Thai house, delicious Thai food will also be offered, including grilled chicken sticks and sweet mango with sticky rice. Here you will discuss ways to improve health and wellness after you leave the spa. You will even have the chance to practice self Thai massage.